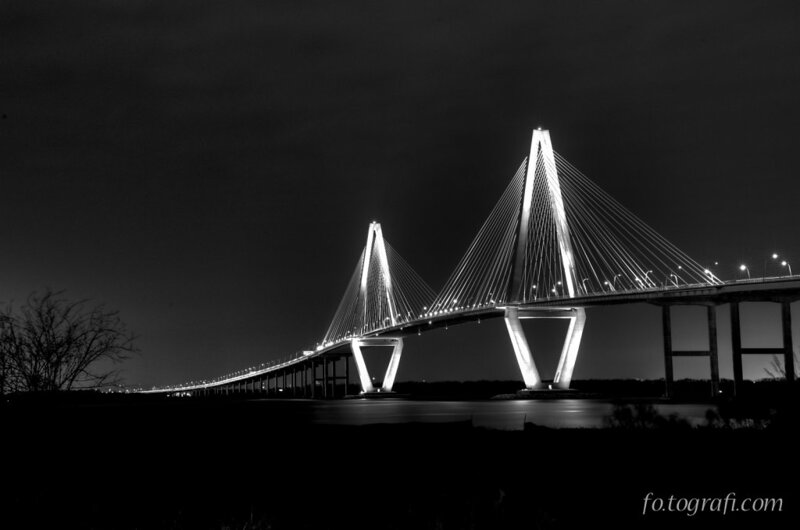 This is the Cooper River Bridge, also known as the Arthur Ravenel Jr. Bridge. I have no idea who that is. So to me it's still the "Cooper River Bridge". This is an HDR image that was composed of only two exposures. The scene contained only extremely dark and extremely bright areas so two worked out nicely.